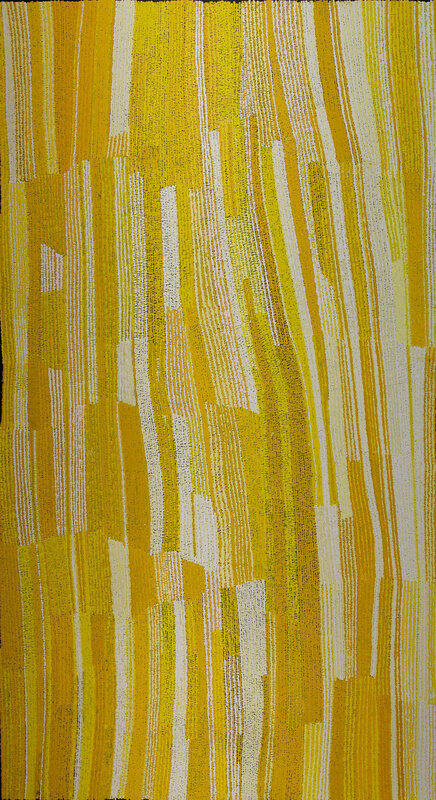 Artists from the APY Lands region are celebrated for their strong use of colour, dynamic movement and unique way of transforming Tjukurpa (Law), Ngura (Country), and Inma (ceremony) into vibrant articulations on canvas. 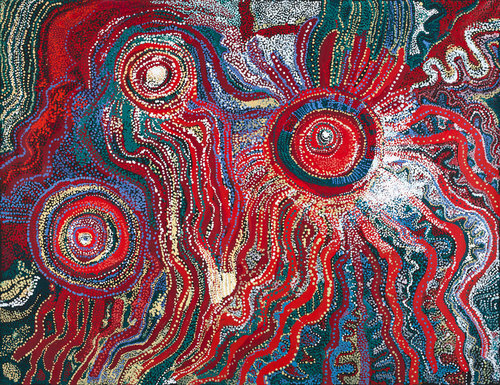 Songs are often shared by the artists while painting: a way of singing stories to life while augmenting and transferring the power of the Tjukurpa into the work. 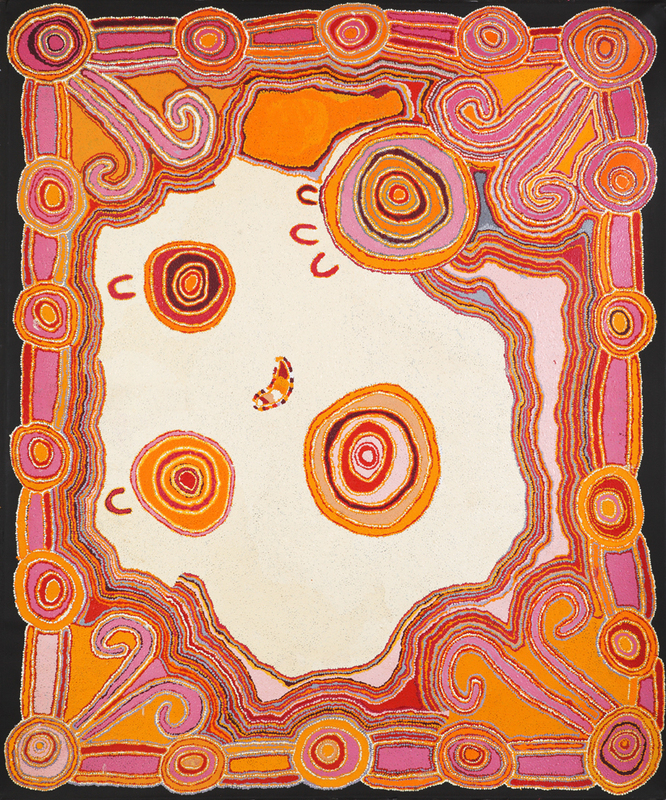 Drawn to the expansiveness of large canvases, artists explore various themes around Country, capturing the many undulations of Anangu knowledge, creation stories, the landscape and its significant sites, in artworks that are culturally and visually powerful. 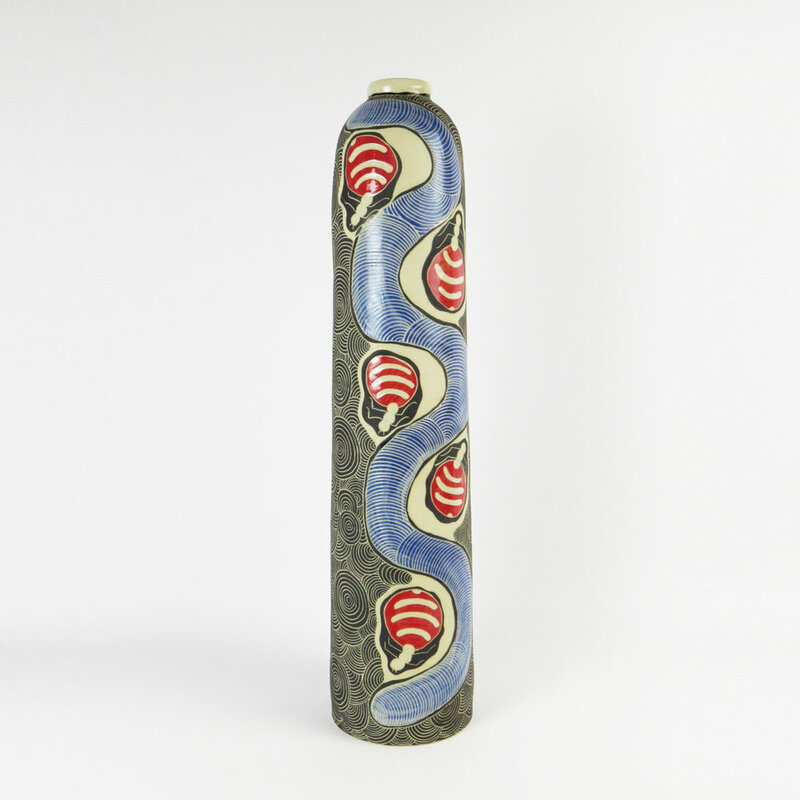 In these stunning works artists tell his or her own story, or parts of stories that may pertain to them and their families - each with a unique artistic style. 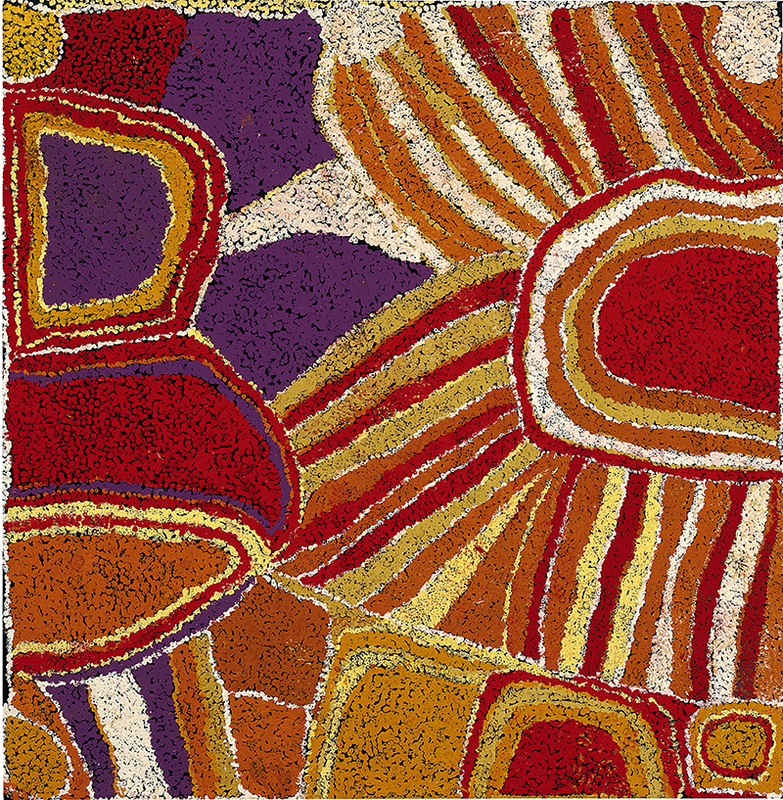 Those stories are often told in different versions across the Lands, and continue beyond them to other regions of Australia. Art centres in the Lands are significant cultural hubs where senior Anangu come together with young and emerging artists to share and continue the stories of their country, keeping them strong and vibrant. Banner image: APY Men’s Collaborative painting in progress 2016, courtesy Tjala arts.